When you’re ready for an out-of-this-world event, we are here to help you select the perfect event venue in Tulsa! Whether you are planning a birthday party for 10 or an event for 100s, the Tulsa Air and Space Museum & Planetarium has a space for you. Conveniently located adjacent to the Tulsa International Airport, we offer the perfect location for your Tulsa event if your guests are flying in from out of town. Check out the spaces we have for your event! A unique experience inside the cabin of the MD-80 airplane. Perfect for birthday parties and other small gatherings, avilable for booking Monday through Friday. Get inside the museum and rent out the exhibit hall for your special banquet, reunion or reception. Your guests will love the backdrop provided by the planes and space exhibits. The exhibit hall creates an ambiance all its own, and your guests will have a truly memorable experience. The mezzanine offers a beautiful, loft-style event venue, as it overlooks the exhibit hall below. Elevator access accommodates all of your guest. If you need a change of scenery to energize your team, bring them to the Tulsa Air and Space Museum & Planetarium for a meeting in our conference room. It’s a great location to inspire creative thinking and problem solving. Use our classroom for an educational outing or customized field trip. The TASM classroom is a great place to host a seminar, class or meeting of any kind, this also is a fun space for your birthday party! Hold your event under the stars or up close to your favorite planet. Reserve the James E. Bertelsmeyer Planetarium for an event setting unlike any other in Tulsa. Your guests will will feel a world away inside the 50′ audio-visual dome of the Planetarium. Stage and auditorium seating make a fun and memorable experience! 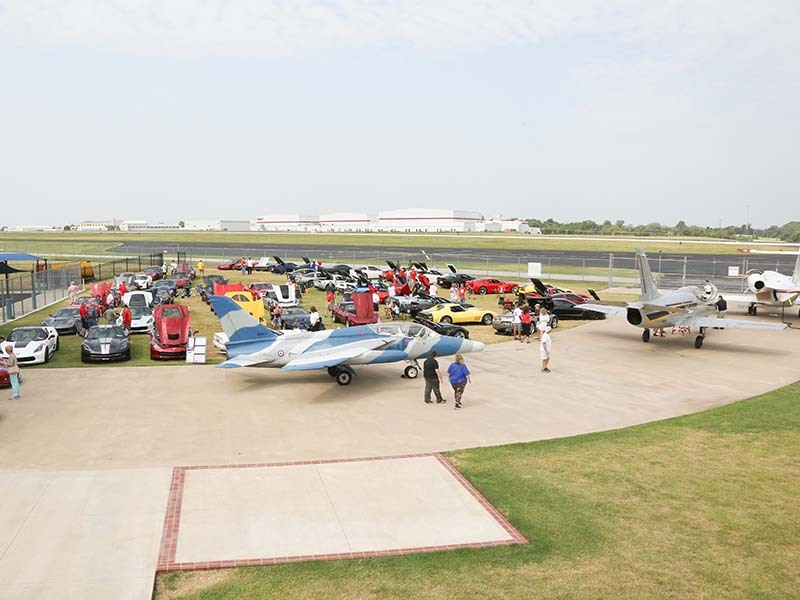 The ramp sits inside the fenced area at the Tulsa Air and Space Museum & Planetarium and plays host to a number of events each year, including car shows, plane shows, weddings and more. It’s the perfect setting to watch airplanes take off and land at the Tulsa International Airport. The TASM parking lot can be reserved for private parties, outdoor festivals, shows or other events. You’ll be in a beautiful setting, with planes overhead and plenty of parking.